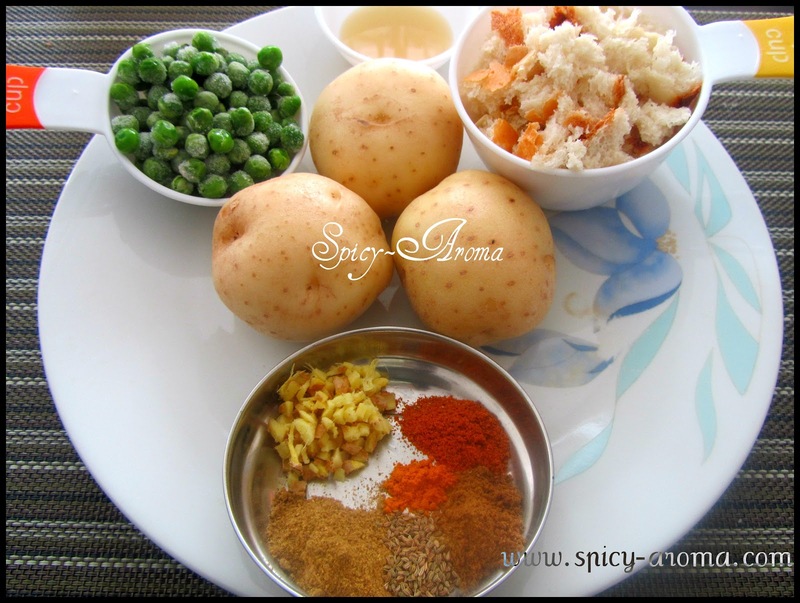 Cook the potatoes in a pressure cooker till 3 whistles. Peel and grate them. Crumble the bread slices and add in to grated potatoes. Add in all above ingredients and mix them really well. Make small balls of the mixture and flatten it little bit. 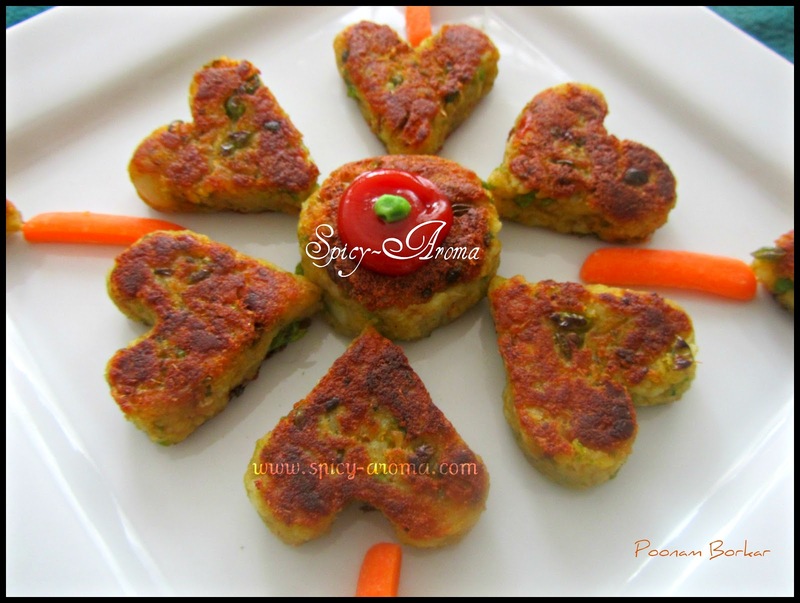 Remove the edges with knife as shown in picture to give a heart shape to the patties. This is optional. You can also make round patties. Drizzle some oil in a pan. Place some patties and cook them on medium heat. Pour some oil on a top and flip them. Fry nicely from the sides till they get nice brown color on top. Serve with any chutney or ketchup. 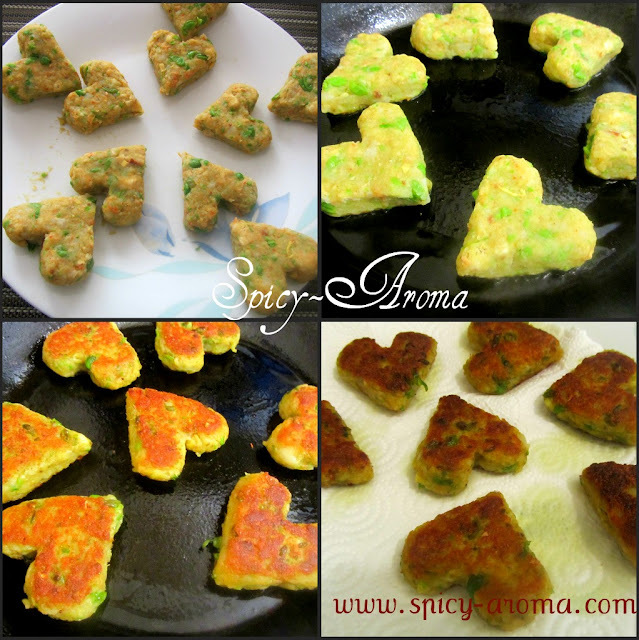 Cute heart shaped ones n yummy..perfect with a cup of tea! Pretty heart tikkis rightly done and looks so tempting !!!! Looks cute. 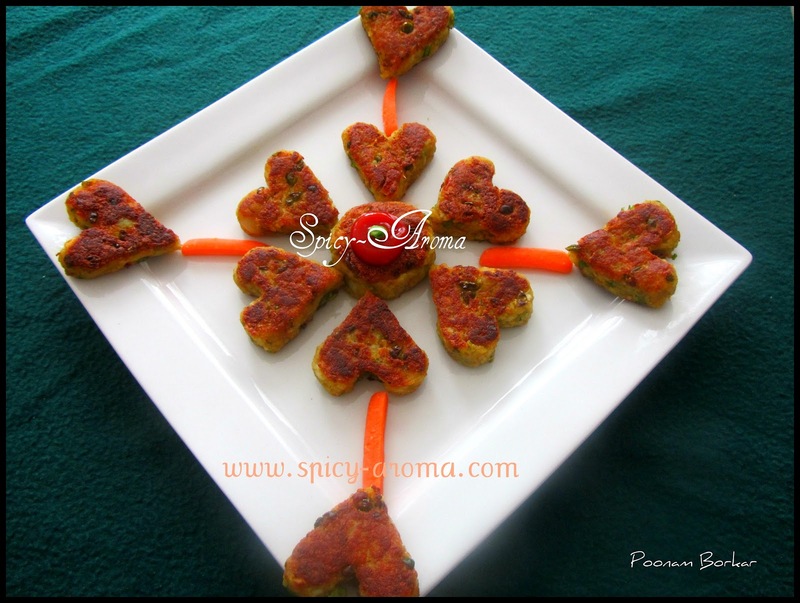 Maybe we can serve it on valentines day or for an anniversary dinner. So perfectly done, very tempting..